Absorbent, fast-drying, antibacterial cloths that are fantastic for wiping kitchen tables and benches, stovetops, refrigerator shelves and kitchen spills. WHERE TO USE: Wiping up kitchen benches, tabletops and stovetops, cleaning out the fridge, kitchen spills, washing dishes – it removes grease, grime and tea and coffee stains very easily and efficiently. Use with Norwex Dishwashing Liquid or other washing detergents if desired, then rinse thoroughly. Do not use on hot surfaces – microfibre will melt. 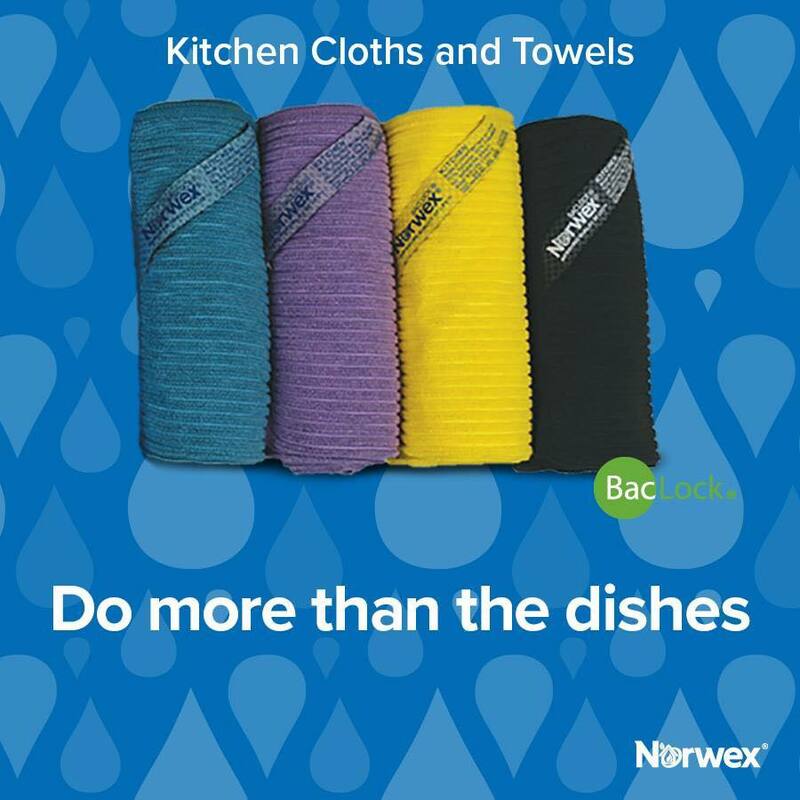 COMPLEMENTARY PRODUCTS: Norwex Dishwashing liquid, for a low suds effective clean, the All Purpose Kitchen Cloth (grey), excellent for greasy surfaces such as the rangehood, oven or BBQ.